We are really proud of everyone who comes along to our workouts and programmes! 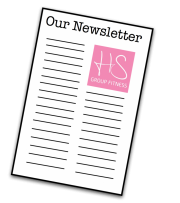 Read some of the AMAZING achievements and fitness successes from our ladies and get inspired! "I had always been a size 12 in my late teens and was certainly not as toned as I’d like to be but I’d never really had an issue with my weight, I ate in moderation and walked the dog. From 2010 to 2012 some things happened with my health and work which meant that the stress took it’s toll and I tipped the scales at 13st 13 - I had previously never been heavier than 11st! I was desperate to lose the weight but I would lose a few lb, only to put them back on plus more. By April 2012 I got engaged and was eager to book my wedding. I had one problem... I was still a size 16. After my first 4 weeks I’d lost 8lb and was hungry for more from May to November I’d gone from 13st 13 to 9st 10 and clothes size 18/16 to a 10! When I joined I never thought I’d see the day I was 10st 10 again. The HS studio is fantastic it’s like a little family we all know each other by name and you know if you miss one of your regular classes you’re missed so that is another incentive to keep going. I now lose/maintain weight but feel like I’m eating loads. I have no regrets and cannot preach enough if you’re that person who gets there summer shorts out and feels upset and down in the dumps when they don't fit - do something about it you really wont regret it!" I love doing exercise now! "Ive gone from someone who hated exercise to someone who hates missing any classes! I try to get to at least 4 a week now. In total I have lost 14 inches from my body." 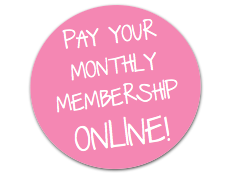 "I joined HS Group fitness to help me through a really tough time and now I can't imagine being without it. I can see changes on the outside, I'm stronger and fitter than ever before, but the biggest change for me is on the inside." "I've dropped 2 dress sizes so far... I feel confident, strong and happy! I'm not at my goal yet but I know with the help of Helen and all my friends at HS Group Fitness I will get there." I've got more energy for the kids! "I am so much fitter I can run after my children and throw them around and never feel out of breath. I have much more energy to wake up with a baby in the night, plus my hubbie won't leave me alone!" 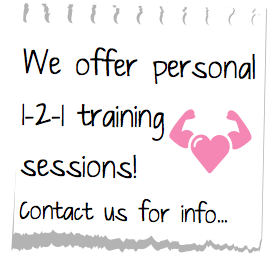 For more information about how our fitness and well-being programmes can help you achieve your goals please contact us!